Emirates has demonstrated its commitment and the importance of its African route network with the appointment of Adil Al Ghaith as Vice President Commercial Operations for North and West Africa. In his new position, Adil is responsible for Emirates’ business operations in a number of markets, including Egypt, Tunis, Morocco, Algeria, Libya, Sudan, Senegal, Guinea, Ghana, Nigeria and Ivory Coast. Adil Al Ghaith holds a degree in Business Administration from Seattle Pacific University, Washington State. DUBAI, U.A.E., 13 March 2014 – Emirates SkyCargo, the freight division of Emirates, continues to solidify its position as one of the world’s leading and most admired air cargo carriers, after it added a further two prestigious accolades to its list of industry awards this past week. At the annual Air Cargo World Awards that was held in Los Angeles earlier this week, Emirates SkyCargo won the Diamond Award, which is the top award given in a category. Emirates SkyCargo came out tops in the category for carriers who move 800 000 tonnes or more of cargo per annum. Emirates SkyCargo was also named ‘Cargo Airline of the Year 2014’, at the Air Transport News Awards held in Istanbul, Turkey. Finalists were determined from more than 4000 votes by Air Transport News readers, and an international panel of cargo industry experts selected the winners in the various categories. “Our focus is not to be the biggest, but the best. That is why we invest in the latest aircraft, product development, facilities and the training and development of our people. Winning these prestigious awards is gratifying because it is recognition by our customers and peers for all our efforts. We will continue to work hard on delivering consistently good service to our customers, and we thank them for their support,” said Nabil Sultan, Emirates Divisional Senior Vice President, Cargo. Earlier this year, Emirates SkyCargo was awarded the ‘International Cargo Airline of the Year’ by STAT Trade Media Group at the Air Cargo India 2014 Awards and was also voted the ‘Top Cargo Handling Airline of Cochin 2013’ by the Customs Department at the International Customs Day Celebration held in Kochi. Emirates SkyCargo has a fleet of 12 freighters, 10 Boeing 777Fs and two Boeing 747-400ERFs, which provide cargo services to 46 destinations around the world. 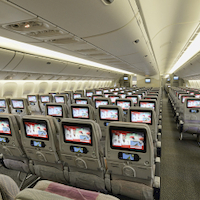 Dubai - July 30, 2014: Emirates, the global connector of people and places, continues to set industry standards by becoming the first airline to introduce Audio Description on movies for visually impaired customers on its inflight entertainment system, ice Digital Widescreen. Emirates’ ice (information, communication and entertainment) was recently awarded the ‘World's Best Airline Inflight Entertainment’ award at the SKYTRAX World Airline Awards for the 10th consecutive year. ice now offers Audio Description soundtracks on 16 Walt Disney Studios Motion Pictures films including Frozen, Saving Mr. Banks, Cars 2, Monsters University , Marvel’s The Avengers, Toy Story 3 and all four Pirates of the Caribbean movies. 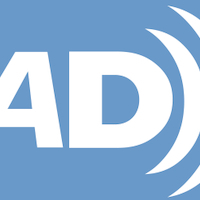 Audio Description, increasingly common in cinemas and TV, is a recorded narration explaining the scene during the gaps in dialogue, while the film soundtrack continues at its normal pace. From left to right: Hafeez Azeem, Emirates Regional Manager Commercial Operations, Northern and Western Africa, Ambassador (Dr) Mike G. Omotosho, Nigeria’s Consul General in the UAE (left) with Adil Al Ghaith, Emirates Vice President Commercial Operations, Northern and Western Africa, at Dubai International Airport, with members of Emirates’ cabin crew for the start of the new daily Dubai-Abuja service. 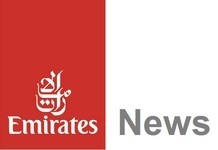 DUBAI, U.A.E., - 27 AUGUST 2014 – Emirates, a global connector of people and places, and Arik Air, West Africa’s leading airline, have signed a Memorandum of Understanding (MoU) to develop and expand their existing commercial relationship and explore further areas of co-operation. 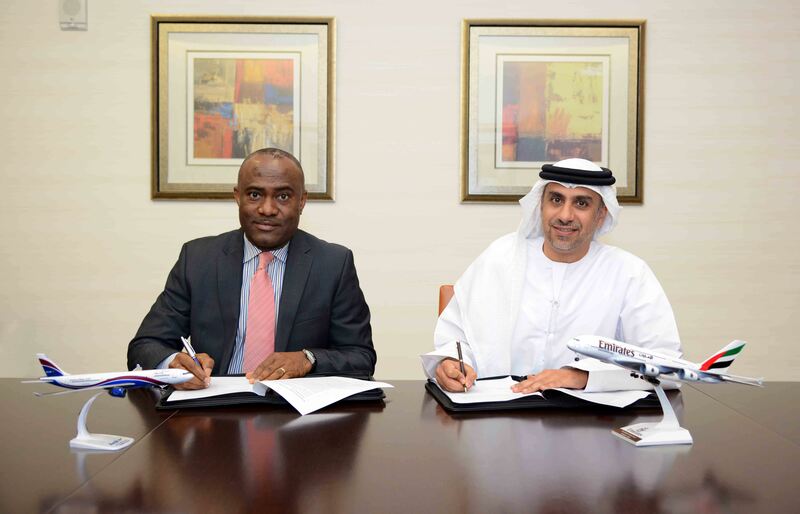 The MoU was signed yesterday by Adnan Kazim, Emirates Divisional Senior Vice President, Planning, Aeropolitical and Industry Affairs, and Chris Ndlulue, Arik Air’s Managing Director, at Emirates Group Headquarters in Dubai. “Both Emirates and Arik Air have expressed interest in exploring ways to expand on our existing commercial relationship and to look at different areas in which we can cooperate that will be mutually beneficial to both airlines, including seamless connectivity for our customers on our respective networks. We also intend to explore the potential of code share arrangements as passenger traffic flows mature between both parties’ networks,” said Mr Kazim. “Arik Air is delighted to partner with Emirates. Both airlines share a similar vision of convenience and safety for our customers. While Arik Air is happy to open its network in Nigeria and West Africa to Emirates passengers, we are excited at the vast worldwide network of Emirates being made available to Arik Air’s passengers. The invaluable cooperation between the two airlines offers a lot of synergy to both airlines in achieving their objectives,” added Mr Ndlulue. Emirates is one of the world’s leading international airlines and flies to more than 140 destinations in 81 countries across six continents. It operates the world’s largest fleet of Boeing 777 aircraft and Airbus A380s.